It all started in October 2012 when my wife Tamara and I visited friends at a vacation house near Ventorros de San José outside of Granada, Spain. We decided that we’d spend a few extra days in Spain after that visit was over, and we started looking for possible destinations. I’d spent quite a bit of time in the usual places like Madrid and Barcelona, so we looked at some alternate possibilities. As my background is in architecture, we settled on a trip to Bilbao to see the famous Guggenheim Museum there. As we researched the region, we became more and more fascinated by this place called the Basque Country. 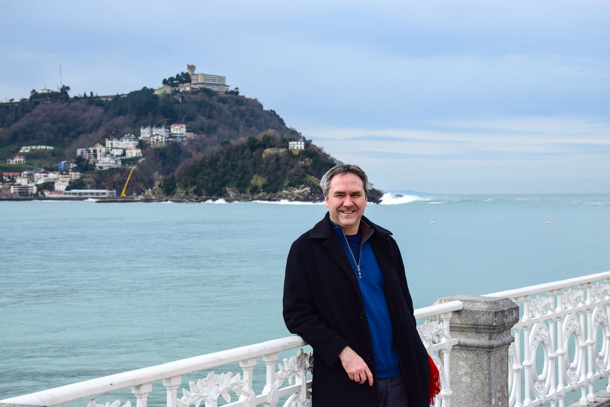 Further poking around the interwebz led us too a place called San Sebastián, that I had only heard of in the context of its film festival as well as the “troubles” it faced due to a separatist political movement that gained prominence in the 1980s and 90s. So after our stay near Granada, we piled into a rented car and drove a full day to Basque Country. Bilbao was fantastic and produced one of my all time favorite posts, but San Sebastián proved to be a truly unique place. 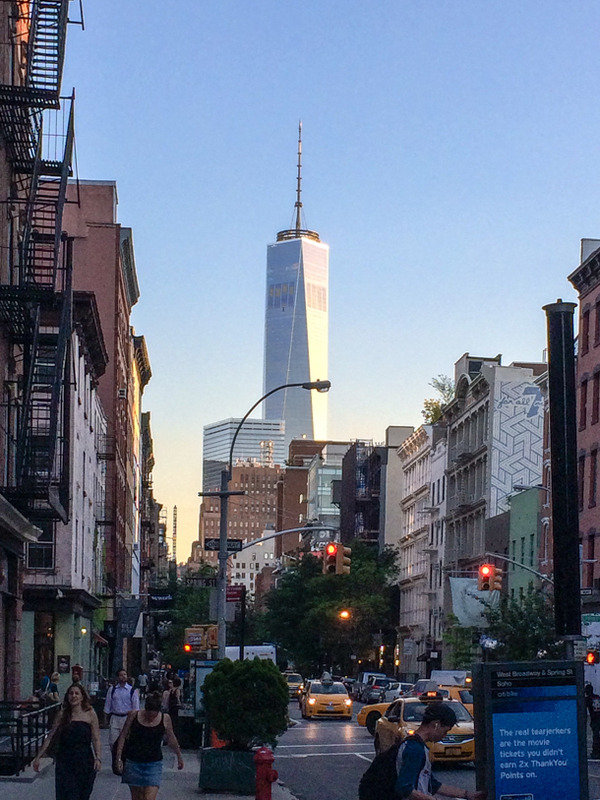 It evoked a feeling that was both foreign and familiar. The people were both aloof and engaging to visitors. Some of them, depending on their age and when they went to school, spoke an indecipherable language known as Basque (many of their “Generation X” grew up during a time when the Basque language was officially outlawed by the Spanish government and do not speak it fluently). And more importantly, everyone we met there was obsessed with food and wine. I kept thinking to myself, “How did this place happen? What’s the story here?” So for the next four years, off and on, I wrote and researched and sifted through hundreds of pictures we took. Additional research happened during a return trip in January 2014. The resulting piece ended up being about 8000 words. Realistically, few people sit down and read 8000 words at a stretch anymore, so I broke it into 10 easy-to-digest chronicles that tell the story of contemporary San Sebastián, as I see it. To convey the feeling of the place as much as possible, I’ve included images, videos and maps that tell the story as much as the copy does. Smell-o-vision and taste-o-vision would have certainly helped, but I’ll leave it to you to travel there yourself. I’ll post the links to the chronicles below, one per day, starting on Monday October 3rd. Thanks for reading! The first ever BBQ cook-off? In the process of poking around the internet for information about goat and lamb for my latest barbecue column, I came across a reference to a very early barbecue cook-off. The 3 Feb 1870 edition of the San Francisco Chronicle features a blurb by “Snooks” who recounts a competition featuring a cook-off between promoters (stockmen) of sheep and lamb in the central California town of Gilroy. One Mr. Sargent represented the “Cashmere goat” camp (yes, same cashmere as your sweater), and Mr. Reynolds the “Merino sheep” team (arguably makes an even better sweater). Each team picked six “disinterested” judges, then commenced to slaughter, barbecue and present the meats for judging. By a vote of 8-4, the goat came out on top. Another hundred or so guests descended on the remaining meat for what was surely quite a feast at that time. No word if there was a comparison of sweaters. Technically, this was more of a “throwdown” between the fanciers of goat and lamb, but I’ve yet to find a reference to any earlier event so closely related to a barbecue cook-off. Granger’s was a legendary seafood restaurant in Sabine Pass in the 40s and 50s where barbecue crabs were invented. It burned down in 1958. Pat Sharpe of Texas Monthly wrote a great history that you can read here. Legend has it that one of the cooks at Granger’s later went to work for the Sartin family which popularized the barbecue crab as one of the few dishes that is truly indigenous to the Texas Gulf Coast. 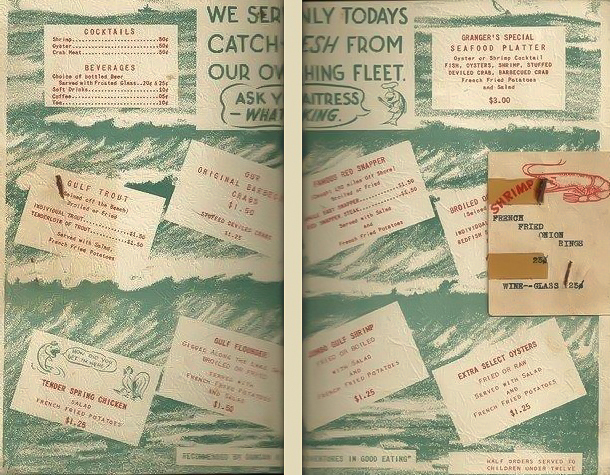 There are a few interesting things to point out about these menus, so let’s take a closer look. I’ve just created a page that lists all of my Houston Chronicle barbecue columns, with non-paywalled links for your viewing pleasure. You can view it by clicking here, or clicking the “My Houston Chronicle BBQ Columns” at any time in the menu above. After writing 52 consecutive weekly columns (that’s a year’s worth), the Chronicle has effectively renewed my contract for another year (thanks y’all!). I expect to do a bit more traveling, as well as writing a few more historical pieces, and you might even see me cooking a brisket or two. We’ll see how it goes. Many thanks to my regular readers and those who write in each week with comments. A recent column, “A bastion of barbecue tradition in the piney woods of East Texas“, generated the most emails of any column I’ve written. People really love that place. 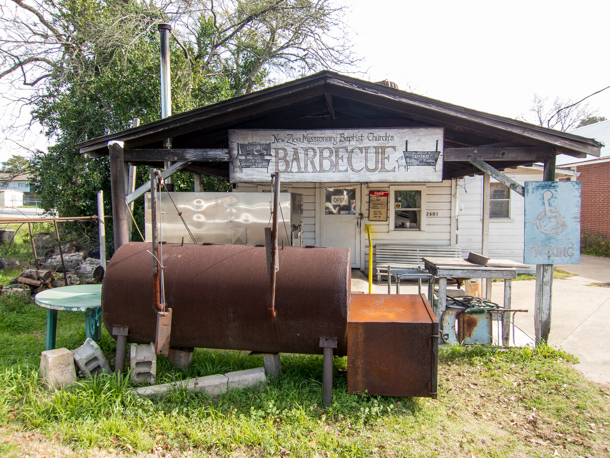 In the Central-Texas-BBQ-centric world we live in today, it is often overlooked, as is a lot of East Texas barbecue. I’ll be pointing my GPS toward East Texas a bit more over the next few months. Lot’s of good stories there, even though good barbecue is harder to find. In the New Zion piece, I purposefully left out the founding story, as it has been told many times. Here’s a great piece about New Zion written by Pat Sharpe of Texas Monthly, if you are interested. Also, a reader sent the following email regarding the founding of New Zion. It’s basically an eyewitness account, along the lines of what’s been told in the past. Still a fun read and worth entering into the public record. Thank you for the wonderful article on New Zion. My practice was about two blocks down the road. I was privileged to watch the entire development of the church barbeque. The church building was a somewhat dilapidated frame structure, smaller than the current building. Brother Ward and Mrs. Ward were faithful members of the church. They lived in Houston where Bro. Ward worked as a painter. Mrs. Ward grew up in Huntsville. Not long after I opened my practice in 1970, Bro. and Mrs. Ward started coming to Huntsville every Saturday. Bro. Ward spent his Saturdays repainting the church inside and out. Mrs. Ward acquired a barbeque pit made from a 55 gallon barrel. She cooked lunch for Bro. Ward every Saturday. It frequently consisted of barbeque. When the wind was right, the aroma drifted to my office and made my mouth water. Shortly, passers by began to stop and inquire if she would sell any to them. She soon expanded her menu and started selling to the public every Saturday when it didn’t rain. When the barrel pit rusted out, she acquired a more sturdy steel pit. The building the current BBQ is in became empty. Bro. Ward added a covered area to the house and Mrs. Ward moved her pit under the covered area. She could then sell in any weather while Bro. Ward worked on the church. They dedicated all profit to the church. They soon had enough money to start an addition to the church. When Bro.Ward retired, they moved to Huntsville and started selling six days a week. Various church members helped when they could. They moved the dinning area indoors. They expanded the size of the building to what it is today. A lady whose name escapes me, was a high school music director in Houston. When she retired, she started helping full time. She was right out of a Norman Rockwell painting. She was exactly like Moms Mabley. She constantly scolded the customers about all sorts of things. I don’t know a person who was not in love with her. Eventually they were able to redo the church, adding brick to the outside. These wonderful, giving people are dead now. Heaven must hold a special place for such generous people. Our country is full of such people. People like them do not get the press coverage. I miss them. Thank you Gerry Etheredge of Huntsville, Texas. A quick visit to NYC for the Big Apple Barbecue Block Party found T. and me sneaking into some old restaurant favorites as well as a few new places. We were staying in the Flatiron District near Madison Square Park where the festival was held, so our first stop, naturally, was Eataly.